So, December is in full swing and I hope your enjoying adding touches of festivity to your house. 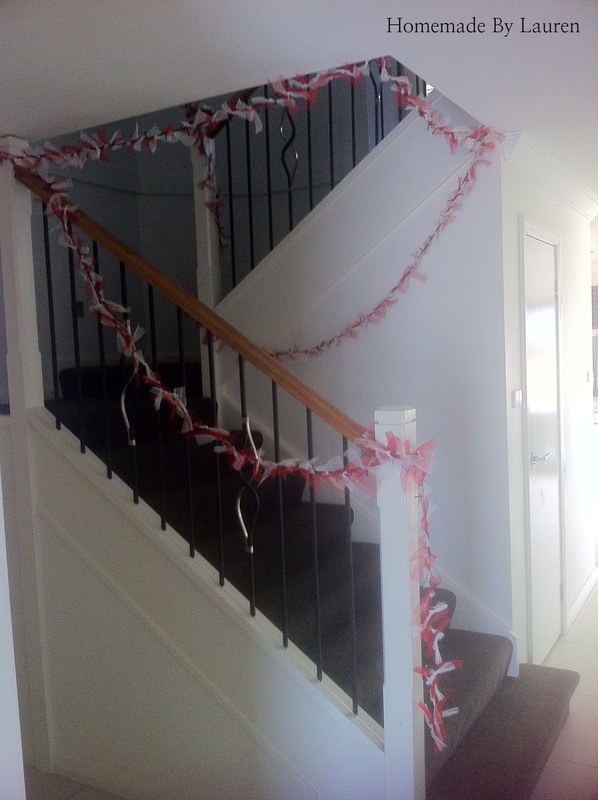 I have been a bit busy over here working on a special project that I can reveal soon, but can share a simple craft that added something special to our staircase this Christmas. - 1 length of Christmas lights. 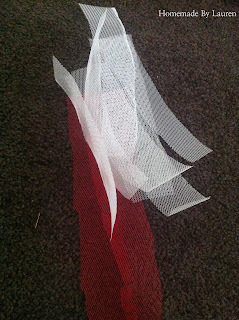 - 3m of stiff tulle in your choice of colours (I chose red and white). I got mine for about $2 per meter. 3. Then tie the strips around the wire between the lights, alternating colours. I found that the length between lights on mine varied. 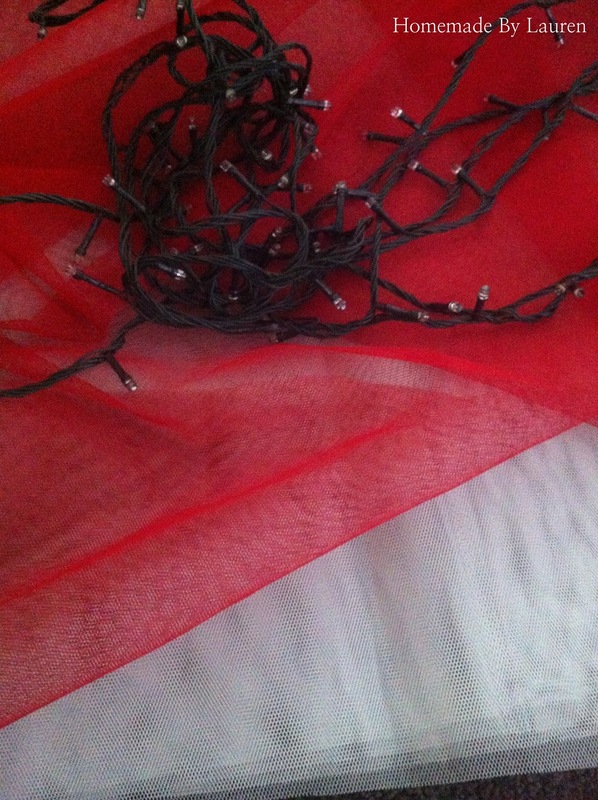 Sometimes I fit three and others I fit 4 bits of tulle between lights. This is not a hard task, but a time consuming one. It is great to do whilst you are watching a Christmas movie with the family, we all watched Polar Express together. I love the soft look it adds to the lights especially at night. You could even do this in a different colour scheme for a decoration to a little girls bedroom and it would look just darling!